This cookware set is perfect for camping, backpacking, hiking, emergency preparedness, or as part of a survival kit. 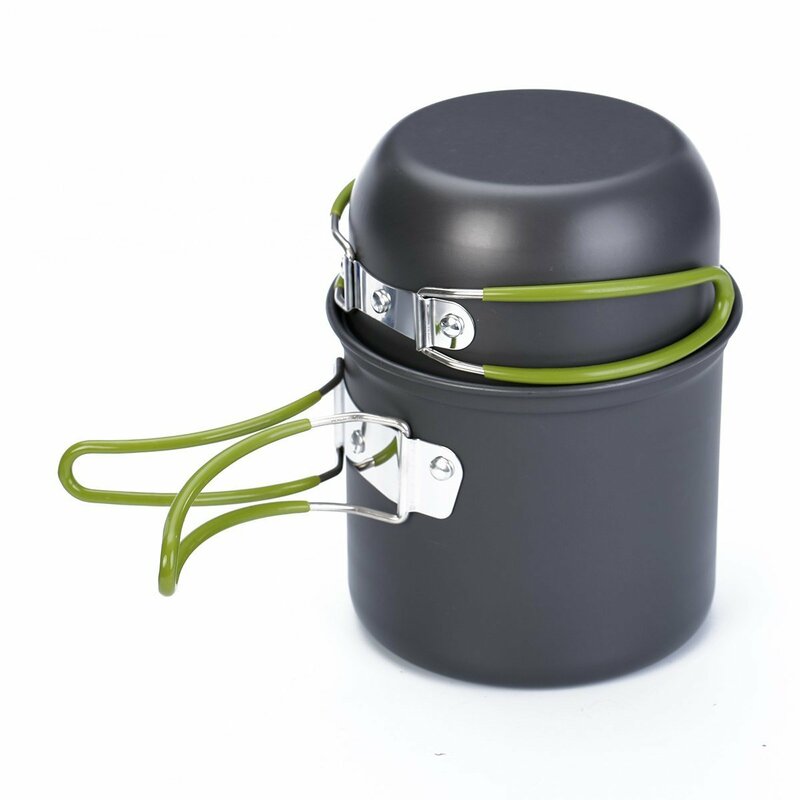 When the cook set is fitted together (with the lid on the pot) for travel and storage, it contains room to carry a stove, matches, seasoning, salt, pepper, a sponge and many other things to keep your overall space consumption to a minimum. Even can hold a 270gr fuel canister with a compact stove.